The Allies successfully landed 50,000 men (after accounting for the dead and wounded) yet were unable to secure a single one of their objectives. Casualty rates as high as 30 percent within the first days, with nothing but a few hundred yards to show for it. Ottoman casualty rates were as high – and higher when the Ottomans attempted a counter-attack. After a month of horrific fighting, a stalemate ensued: just as in the western front, this south-eastern front would turn into a body churning trench war. This, combined with the arrival of German U-boats, certainly offset any possible Allied advantage, and made stalemate almost certain. The situation in Gallipoli caused a political crisis at home. The Liberal government was forced to accept cabinet members from the Conservative Party – one casualty was Churchill, replaced as Lord of the Admiralty by Arthur James Balfour. 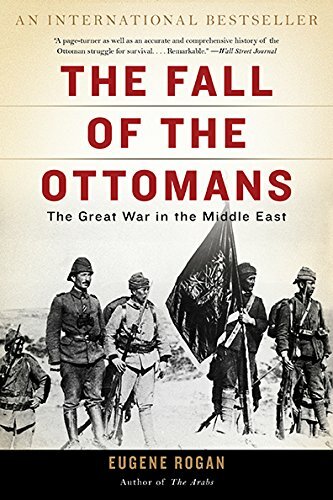 It wasn’t the Ottoman government that fell, but the British. Lord Kitchener – who, despite having been perhaps most responsible for the planning that led to the disaster, remained in office – presented three options to the newly formed Dardanelles Committee. Britain and its Allies could abandon the Gallipoli campaign altogether. They could dispatch a major army to conquer the peninsula. Or they could continue to reinforce the small expeditionary force under Sir Ian Hamilton in the hope of making slow but steady progress towards the eventual conquest of Gallipoli. Option one was ruled out immediately: lose to Muslims here and there would be Muslim uprisings throughout the Allied and Allied-controlled portions of the Ottoman Empires. After debating the other two options, it was decided to dispatch a major Army: five divisions would be sent, each comprised of 10,000 – 15,000 men. Over the summer, trenches would form a complex grid throughout the landscape. Those who saw battle on both the western front and Gallipoli felt that, of the two, the latter was far worse. Unlike the western front, where a soldier might go months without firing his rifle, on Gallipoli the fighting was constant. With the Turks holding the high ground and the German U-boats driving the British navy far from shore, Turkish artillery pounded the Allied trenches with impunity. And this says nothing of the snipers. Leave. There was no place to take leave, unlike on the western front where towns and villages were just a few miles away, offering respite. The soldiers were afraid of being attacked, but more afraid of going on the attack. Wave after wave would be sent, only to be mowed down by Turkish fire. Dead bodies by the thousands filled the land between the combatants. In the intense summer heat, the flies filled the skies. The flies accompanying the dead also accompanied the living – to include the food rations. Sickness traveled from the dead to the living. Week after week the casualties mounted, by the thousands and tens-of-thousands. Yet, one more push. A successful marine landing: twenty-thousand men landed on a beach defended by no more than 1,500 Ottoman soldiers. Alas, an opportunity lost: unaware of the relatively small force opposite, the British commanders gave their men a day of rest. And during this day, the Ottomans reinforced their positions. The decision to evacuate was made on 7 December; over the course of two nights, ending 20 December, 77,000 soldiers were successfully evacuated with not a single casualty. The British, it seems, were far more careful with the plans of evacuation than they had been with their plans of conquest. Initially it was thought that 50,000 could secure the Straits. Even after a force of over half-a-million was deployed, this was not accomplished. They faced an Ottoman contingent of over 300,000. Of the roughly 800,000 men who fought in the campaign, perhaps 500,000 were killed, wounded or taken prisoner. Gallipoli, for the Allies, was a total defeat. If you have not seen the movie Gallipoli, with a young Mel Gibson, it is well worth it if you want a visual of the utter catastrophe that was the Gallipoli campaign. Just multiply what you see by about 10,000.